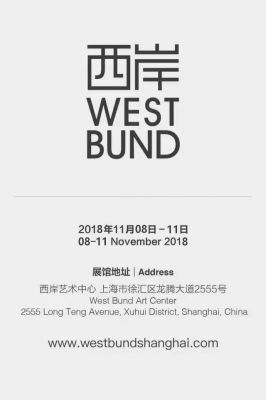 The fifth edition of West Bund Art & Design will take place from 8 to 11 November, 2018, in Hall A of the West Bund Art Center and the newly constructed Hall N. Located directly across from Hall A, Hall N offers nearly 10,000 square meters of exhibition space. This year, nearly 90 leading international galleries from 38 cities across Asia, Europe and North America will present the highest caliber of contemporary art. The ArtReview Asia Xiàn Chǎng section will again showcase cutting-edge works by international artists in designated public spaces inside and outside the fair. Many of the works in this section are commissioned especially for the venue or are exhibited for the first time in the region. Participating galleries and artists will be announced later this year. As per the tradition of the section, West Bund Art & Design will select a winner from the section.